Prominent & Leading Manufacturer from Ahmedabad, we offer differential air shaft, differential shaft, lug type expandable shaft and slitter rewinder shaft. 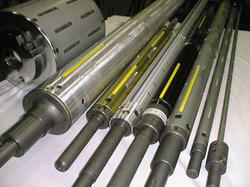 Our company is one of the leading manufacturer and exporter of Differential Shaft & Clutch Shaft. 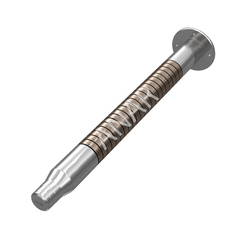 These type of shafts known as Lug Type Expandable Shaft mainly consist of metal leaves with knurling, slotted base pipe, rubber bladder, suitable journals and non-return valves. 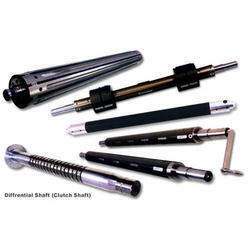 These type of shafts have a great use at unwind station, but are usually used at rewind stage for benefits listed below: To prevent damage to thin cores (100 % support available to the core ID.) Narrow width of core At times core-less winding is also possible Has a limitation to accommodate gauge and speed variation. 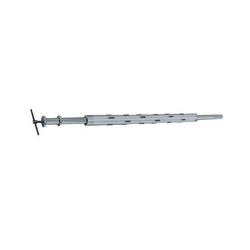 We are one of the reputed manufacturer and supplier extensive range and superior quality of Slitter Rewinder Machine shaft.Above price may vary as per customer requirement related to OD/ID and the length.